This revised and updated Third Edition of the classic text guides students through assembly language using a hands-on approach, supporting future computing professionals with the basics they need to understand the mechanics and function of the computer's inner workings. Through using real instruction sets to write real assembly language programs, students will become acquainted with the basics of computer architecture. 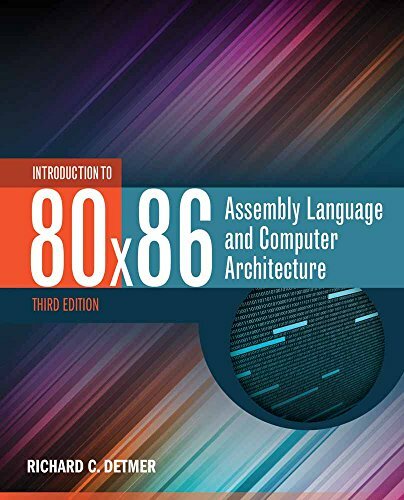 80x86 Assembly Language and Computer Architecture covers the Intel 80x86 using the powerful tools provided by Microsoft Visual Studio, including its 32- and 64-bit assemblers, its versatile debugger, and its ability to link assembly language and C/C++ program segments. The text also includes multiple examples of how individual 80x86 instructions execute, as well as complete programs using these instructions. Hands-on exercises reinforce key concepts and problem-solving skills. Updated to be compatible with Visual Studio 2012, and incorporating over a hundred new exercises, 80x86 Assembly Language and Computer Architecture: Third Edition is accessible and clear enough for beginning students while providing coverage of a rich set of 80x86 instructions and their use in simple assembly language programs. The text will prepare students to program effectively at any level.